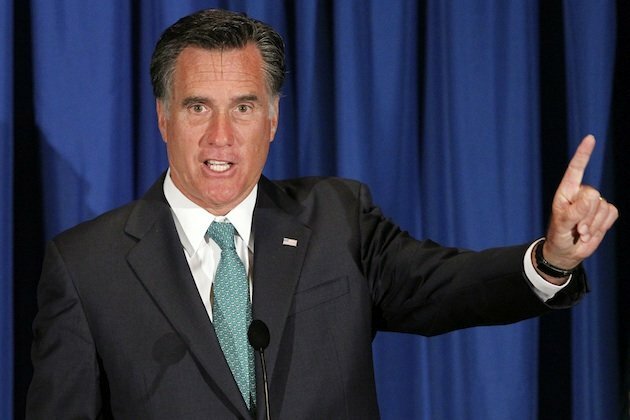 More than a few people have raised the issue of Mitt Romney's Mormon faith. I'm not a Mormon myself, but I don't understand why it is an issue to anybody. I have read a little bit about it and must confess that I don't agree with some of it (this business of modern day "prophets" who have visions and get their marching orders from God bothers me a little bit), but it is not an issue with me as far as who I am going to vote for in the upcoming presidential election. It would be different if we were talking about a satanist or some cult that preaches and practices hateful things and violence toward others to achieve some self-serving goal. But we're not. We are talking about Mormons. Some call it a cult, but I think it's large enough and old enough now to be elevated from that somehow distasteful designation to one of organized religion. Granted, I don't consider it Christian in the sense I was taught Christianity to mean, due largely to their denial of the doctrine of the Trinity (but I will admit I have always had a hard time understanding that one myself). I don't say that with any intention of insulting, either -- merely as an observation based on the doctrine I was taught growing up in protestant churches. The cold, hard reality of the situation for many of us is this: we claim to be of a certain faith, because that is either what our parents wanted or somebody from our childhood who exerted influence decreed. We are raised and educated in a particular church or religion and often abandon it when older, never quite rejecting it publicly -- but pretty much ignoring it as we wander through life in search of our own identity. It serves a purpose for weddings or funerals or any other reason churches are used for, but it ends there. Yet, nobody questions us in public life about it because we are somehow associated with a mainstream religion -- when, in fact, we may really have no faith at all. So which is worse -- no faith or faith in something that seems to promote mainstream Christianity's social behavior and treatment of others, but which we don't understand? From what I gather about Mormons, they are God-fearing, family-oriented people who stand up for their principles and are generally devoted to their faith. I personally know a few who take time to be with their families and teach the value of respect, integrity and the golden rule to their kids. In fact, I think they might be more tolerant and kind than a great many fundamentalist Christians I know. I have read nothing that tells me that they would not make a decent president because of something their religion teaches. Their policies or personal feelings about an issue could be a reason to stop and reconsider, but in general, I see nothing at all in their faith that makes me say "wait a minute, we can't have one of them in the White House." This election season I think I will leave a person's religious faith out of the realm of consideration and focus on issues that hit home like job creation, gas prices and the overall health of the economy.